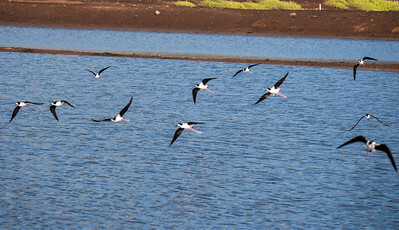 Kealia Pond National Wildlife Refuge is a coastal salt marsh along the south-central coast of the Hawaiian Island of Maui. 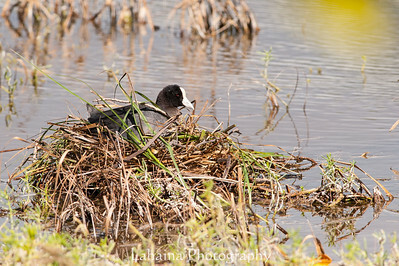 The refuge is located between the towns of Kīhei and Māʻalaea, on both sides of North Kihei Road, Route 31. 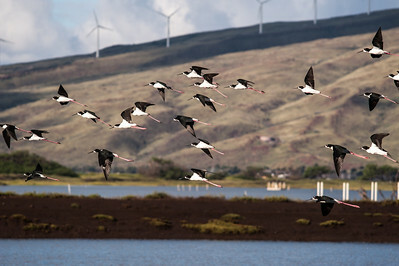 The wetland is also a 691-acre (2.80 km2) bird sanctuary, home to 30 species of waterfowl, shorebirds, and migratory ducks, including the ʻaukuʻu (Black-crowned Night Heron, Nycticorax nycticorax hoactli) and the endangered āeʻo (Hawaiian Stilt, Himantopus mexicanus knudseni) and ʻalae kea (Hawaiian Coot, Fulica alai). 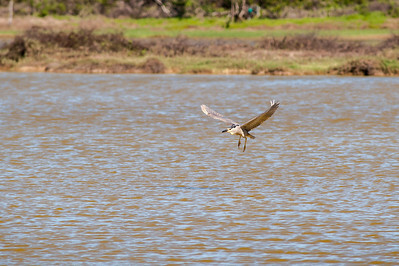 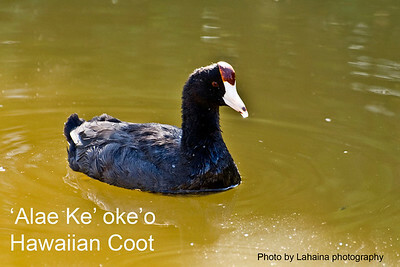 Kealia Pond was selected as a wildlife refuge in 1953, protecting an initial 300 acres (1.2 km2) of land. 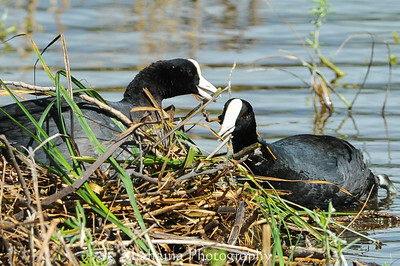 The refuge joined the National Wildlife Refuge System in 1992. 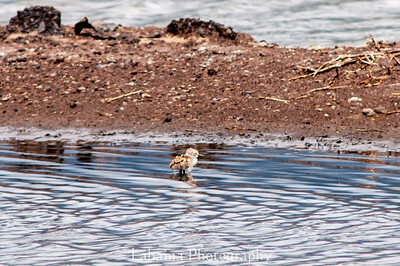 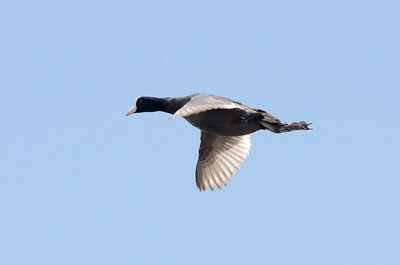 Photos and video's of both native and non-native birds and insects that I've found here. 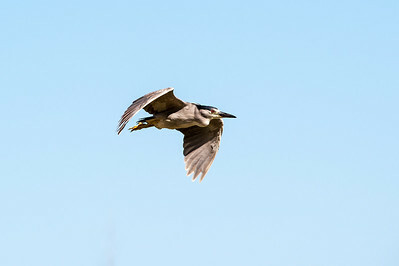 Forest and Kim Starr have been a great help in id'ing some of the birds and most of the insects that I have found here. 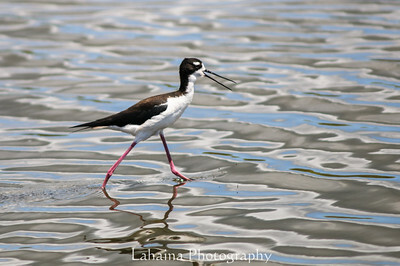 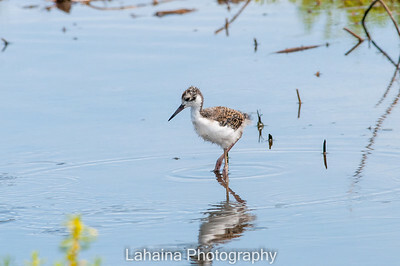 Hawaiian stilt or Ae’o chick. 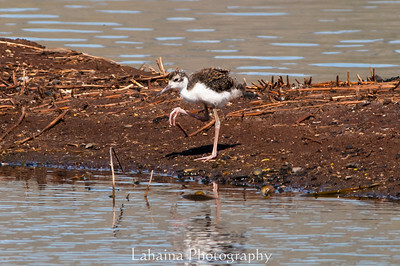 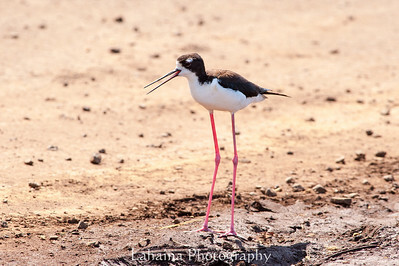 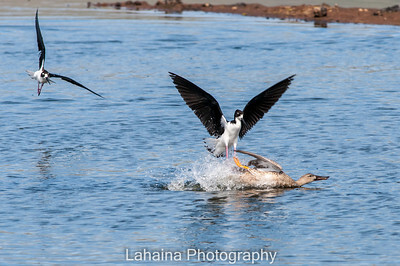 The Hawaiian stilt or Ae’o chick. 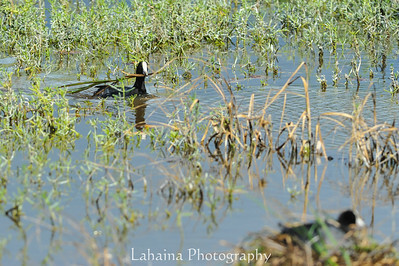 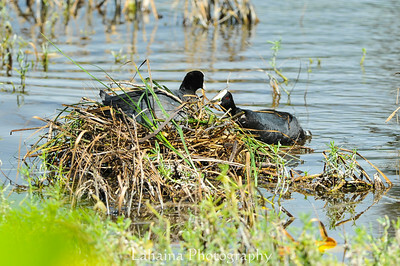 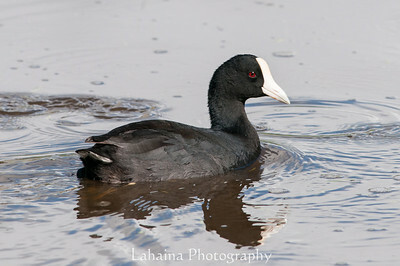 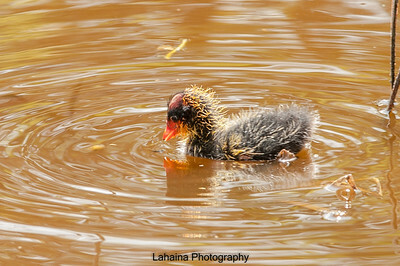 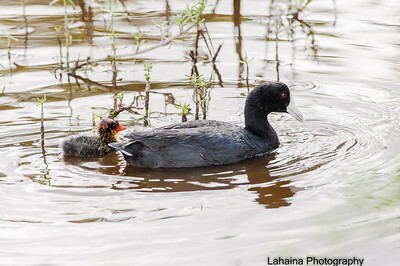 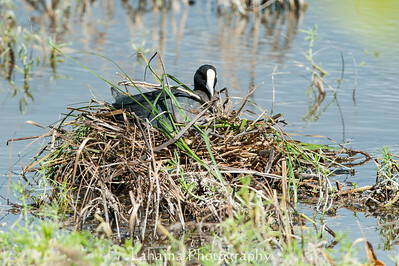 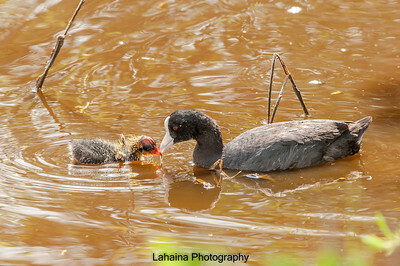 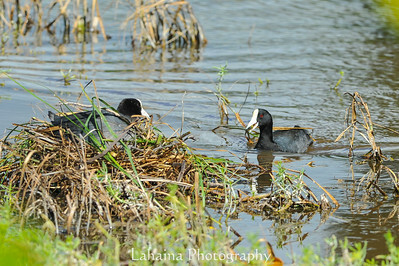 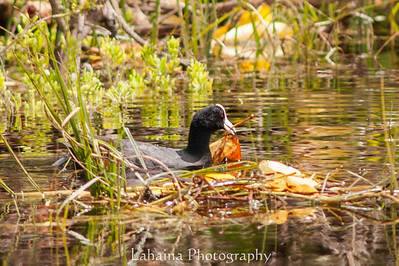 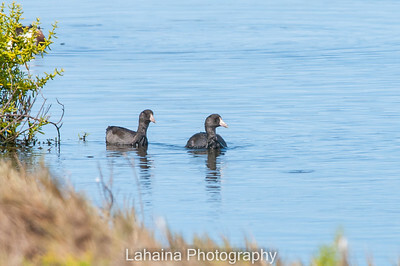 Hawaiian Coot parent with newly hatched chick.